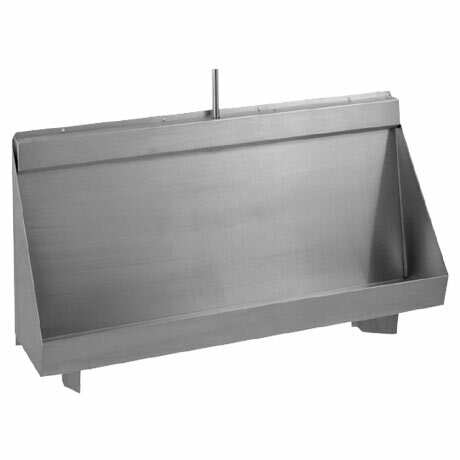 The Centinel G20123N urinal trough is constructed from 1.2mm thick stainless steel in a satin finish. Comes supplied with 50mm waste, concealed sparge pipes, sparge pipe cover, interconnecting pipework, 9L plastic cistern and downpipe. The urinal is screw fixed to the wall through fixing holes in the top flange together with separate wall mounted brackets which support the base of the unit.